The spy film genre began in the silent era, with the paranoia of invasion literature and the onset of the Great War. These fears produced the British 1914 The German Spy Peril, centered on a plot to blow up the Houses of Parliament, and 1913's O.H.M.S., standing for 'Our Helpless Millions Saved' as well as On His Majesty's Service (and introducing for the first time a strong female character who helps the hero). In 1928, Fritz Lang made the film Spies which contained many tropes that became popular in later spy dramas, including secret headquarters, an agent known by a number, and the beautiful foreign agent who comes to love the hero. Lang's Dr. Mabuse films from the period also contain elements of spy thrillers, though the central character is a criminal mastermind only interested in espionage for profit. Additionally, several of Lang's American films, such as Hangmen Also Die, deal with spies during World War II. Alfred Hitchcock did much to popularise the spy film in the 1930s with his influential thrillers The Man Who Knew Too Much (1934), The 39 Steps (1935), Sabotage (1937) and The Lady Vanishes (1938). These often involved innocent civilians being caught up in international conspiracies or webs of saboteurs on the home front, as in Saboteur (1942). 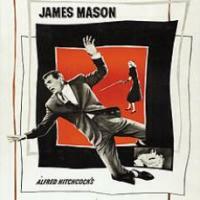 Some, however, dealt with professional spies as in Hitchcock's Secret Agent (1936), based on W. Somerset Maugham's Ashenden stories, or the Mr. Moto series, based on the books of John P. Marquand. 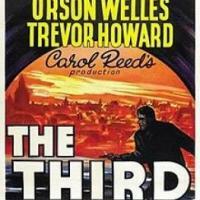 The Third Man is a 1949 British film noir directed by Carol Reed and written by Graham Greene. It stars Joseph Cotten, Valli (Alida Valli), Orson Welles, and Trevor Howard. The film takes place in post-World-War-II Vienna. It centres on Holly Martins, an American who is given a job in Vienna by his friend Harry Lime, but when Holly arrives in Vienna he gets the news that Lime is dead. Martins then meets with Lime's acquaintances in an attempt to investigate what he considers a suspicious death. 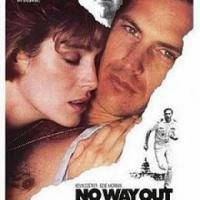 No Way Out is a 1987 American political thriller drama film. It stars Kevin Costner, Gene Hackman, and Sean Young. Will Patton, Howard Duff, George Dzundza, Jason Bernard, Fred Thompson and Iman appear in supporting roles. 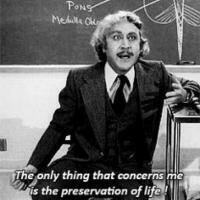 The film is a remake of The Big Clock (1948). Both films are based on Kenneth Fearing's 1946 novel The Big Clock. 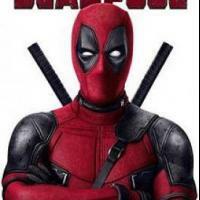 Filming locations included Baltimore, Annapolis, Arlington, Washington, D.C., and Auckland, New Zealand. The film features original music by Academy Award-winning composer Maurice Jarre. 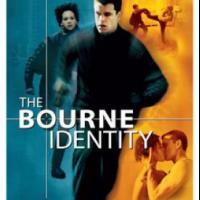 The Bourne Identity is a 2002 American-German action spy thriller film. It is an adaptation of Robert Ludlum's novel of the same name. It stars Matt Damon as Jason Bourne, a man suffering from extreme memory loss and attempting to discover his true identity amidst a clandestine conspiracy within the Central Intelligence Agency (CIA). 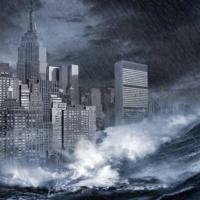 The film also features Franka Potente, Chris Cooper, Clive Owen, Julia Stiles, Brian Cox and Adewale Akinnuoye-Agbaje. This, the first in the Jason Bourne film series, is followed by The Bourne Supremacy (2004), The Bourne Ultimatum (2007), The Bourne Legacy (2012), and Jason Bourne (2016). 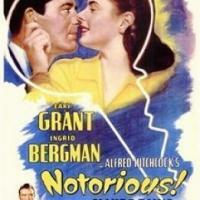 Notorious is a 1946 American spy film noir directed and produced by Alfred Hitchcock, starring Cary Grant, Ingrid Bergman and Claude Rains as three people whose lives become intimately entangled during an espionage operation. It was shot in late 1945 and early 1946, and was released by RKO Radio Pictures in August 1946. Notorious is considered by critics and scholars to mark a watershed for Hitchcock artistically, and to represent a heightened thematic maturity. His biographer, Donald Spoto, writes that "Notorious is in fact Alfred Hitchcock's first attempt—at the age of forty-six—to bring his talents to the creation of a serious love story, and its story of two men in love with Ingrid Bergman could only have been made at this stage of his life." Three Days of the Condor (stylized on the poster art as 3 Days of the Condor) is a 1975 American political thriller film directed by Sydney Pollack and starring Robert Redford, Faye Dunaway, Cliff Robertson, and Max von Sydow. 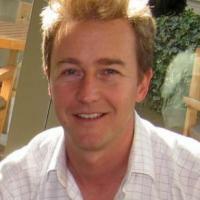 The screenplay by Lorenzo Semple Jr. and David Rayfiel was adapted from the 1974 novel Six Days of the Condor by James Grady. The main point of variance from novel to film lies in the presentation of the CIA. In Grady's book, a rogue element within the Agency is motivated by drug-running greed. In the film, the same individuals act with equal ruthlessness to hide a project intended to protect long-term national interests. From Russia with Love is a 1963 spy thriller film, directed by Terence Young, produced by Albert R. Broccoli and Harry Saltzman, and written by Richard Maibaum, based on Ian Fleming's similarly-named 1957 novel. It is the second film in the James Bond film series, as well as Sean Connery's second role as MI6 agent James Bond. 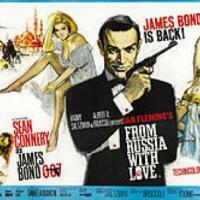 In the film, Bond is sent to assist in the defection of Soviet consulate clerk Tatiana Romanova in Turkey, where SPECTRE plans to avenge Bond's killing of Dr. No. 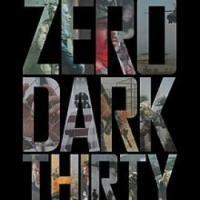 Zero Dark Thirty is a 2012 American political action-thriller film directed by Kathryn Bigelow and written by Mark Boal. Billed as "the greatest manhunt in history," the film dramatizes the nearly decade-long international manhunt for al Qaeda leader Osama bin Laden after the September 11 attacks in the United States. This search eventually leads to the discovery of his compound in Pakistan and the military raid that resulted in bin Laden's death on May 2, 2011. North by Northwest is a 1959 American thriller directed by Alfred Hitchcock and starring Cary Grant, Eva Marie Saint and James Mason. The screenplay was by Ernest Lehman, who wanted to write "the Hitchcock picture to end all Hitchcock pictures". North by Northwest is a tale of mistaken identity, with an innocent man pursued across the United States by agents of a mysterious organization trying to prevent him from blocking their plan to smuggle out microfilm that contains government secrets. This is one of several Hitchcock films that features a music score by Bernard Herrmann and a memorable opening title sequence by graphic designer Saul Bass. This film is generally cited as the first to feature extended use of kinetic typography in its opening credits. The Ipcress File is a 1965 British espionage film directed by Sidney J. Furie, starring Michael Caine and featuring Guy Doleman and Nigel Green. 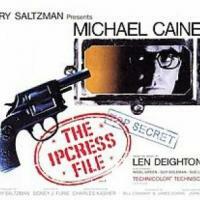 The screenplay by Bill Canaway and James Doran was based on Len Deighton's novel, The IPCRESS File (1962). 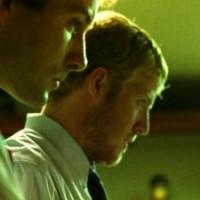 It has won critical acclaim and a BAFTA award for best British film. In 1999 it was included at number 59 on the BFI list of the 100 best British films of the 20th century.